Made with Red Toda pigment – well known for its purity and intensity – this new desirable Lip Maestro 506 has a luminous and saturated fuchsia red colour. The intense velvet colour is a revolutionary matte lacquer for lips. The shade is exclusive to David Jones in Victoria at Bourke Street and Chadstone, in NSW at Elizabeth Street and Chatswood and online at www.davidjones.com.au. The latest addition to Kerastase’s luxurious Couture Syling collection – Materialiste – an all over thickening spray gel that delivers instantly thicker and fuller looking hair. Kerastase unites an alliance of groundbreaking technology in the Materialiste formula to deliver a new dimension of volume. Matérialiste immediately expands the diameter of each hair fibre with newfound thickness to enable endless styling possibilities, all the while keeping the hair weightlessly texturised and exquisitely soft to the touch. Showcasing effortless glamour, iconic Kérastase muse Kate Moss returns to the spotlight as the alluring face of Matérialiste. Materialiste (195ml, RRP $38) is available exclusively in Kerastase Paris consultant salons nationwide. To locate your nearest salon visit www.kerastase.com.au or phone 1300 365 552. 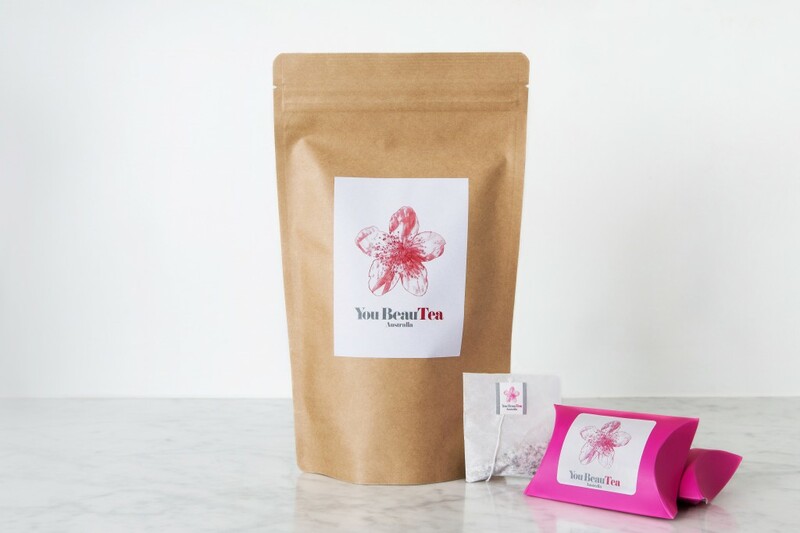 Hydrating, cleansing and regenerative, You BeauTEA is Australia’s first beauty tea with unique, active ingredients to restore and maintain your body’s natural collagen levels. With natural ingredients sourced from ethical and fair-trade suppliers in Japan and backed by clinical trials*, consumption of You BeauTEA has proven to promote and stimulate your body’s own natural collagen production for radiant, more youthful looking skin, thicker, glossier hair and stronger, healthier nails. The preservative and caffeine-free tea combines a blend of both Vitamin C and collagen peptide derived from a marine source, which has demonstrated to not only reverse the signs of ageing but also result in a stronger immune system and a clearer complexion, as testified by satisfied customers. You BeauTEA can be enjoyed both hot and cold, providing an affordable and natural alternative to cosmetic surgery whilst allowing you to take time to relax and restore. Get smooth, tangle free hair with KEVIN.MURPHY UN.TANGLED, the latest product to join the luxurious treatment range by internationally acclaimed editorial stylist, Kevin Murphy. Formulated with a complex of nourishing Australian fruit extracts for conditioning and moisture, UN.TANGLED helps to detangle, strengthen, smooth, and restore hair, with added heat protection. Created in response to hair trends currently seen on international fashion runways, UN.TANGLED creates a naturally textured look that until now has not been easily achieved in over-stressed hair. UN.TANGLED contains six Australian Fruit Extracts (Desert Lime, Australian Round Lime, Illawara Plum, Australian Finger Lime, Burdekin Plum and Kakadu Plum). These carefully picked extracts are hydrophilic, meaning they can absorb moisture from the air. Rich in vitamins, antioxidants and essential fatty acids, these extracts were shown to flourish despite the harsh climatic conditions, leaving hair glossy and smooth. Golden Bamboo is used for its antioxidant, strengthening nd anti-irritant properties, its ability to prevent damage while protecting the integrity of the hair’s health, whilst adding natural shine and lustre. Tasmanian Pepper fights oxidation and will help soothe the scalp with its anti-inflammatory properties, while Aniseed Myrtle increases strength, shine and improves elasticity.